The third day of the Space Coast Birding and Wildlife Festival got off to an early start – on a bus at 5 AM heading to the rural area in central Florida for a day of birding (about 50 miles south of Orland). We arrived at our first stop in Three Lakes Wildlife Management Area just before sunrise and hiked into the longleaf pine forest. 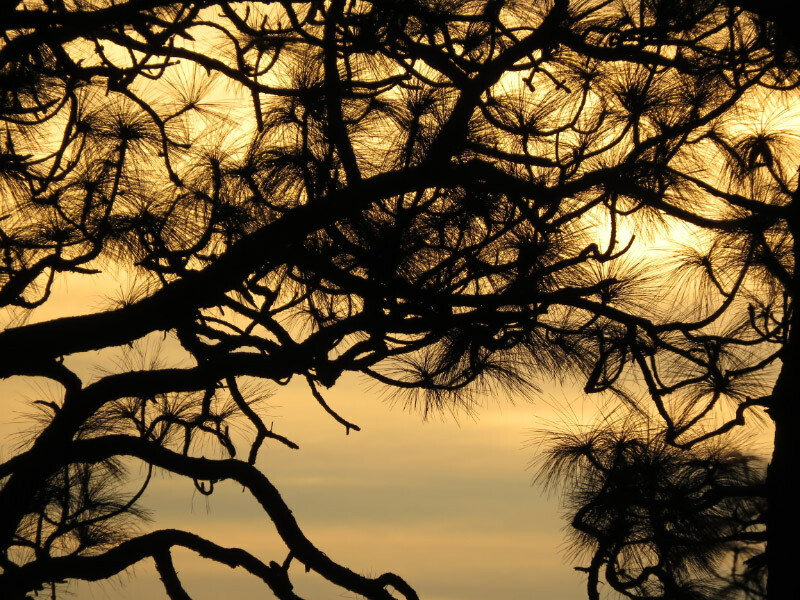 Our guides took us off the trail and through the palmettos and other vegetation growing between the pines – and pointed out the woodpecker holes in the pines. We stood and watched the holes. 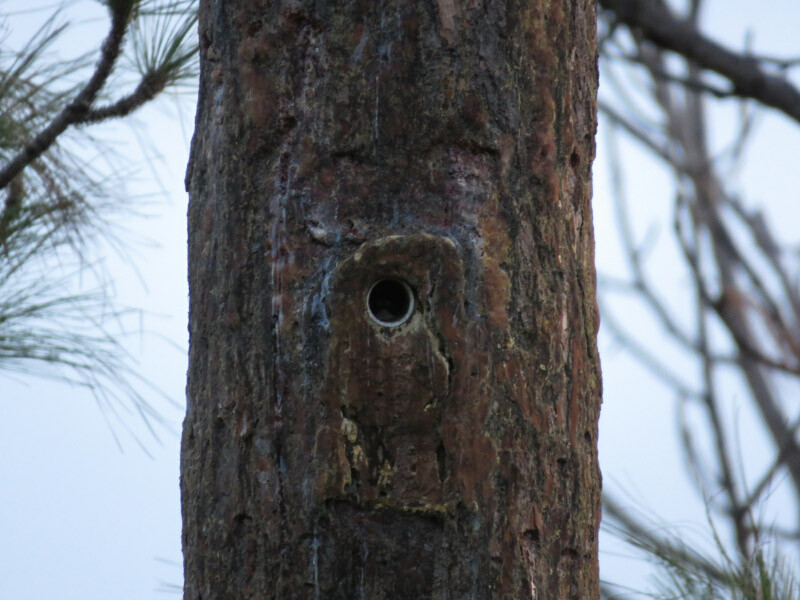 Sure enough just as the day brightened a little – a red-cockaded woodpecker appeared in one of the longleaf pines (the only tree they use for nesting). The bird flew out to neighboring pines in search of breakfast. I never saw a red-cockade…but read that they are difficult to see in the field. 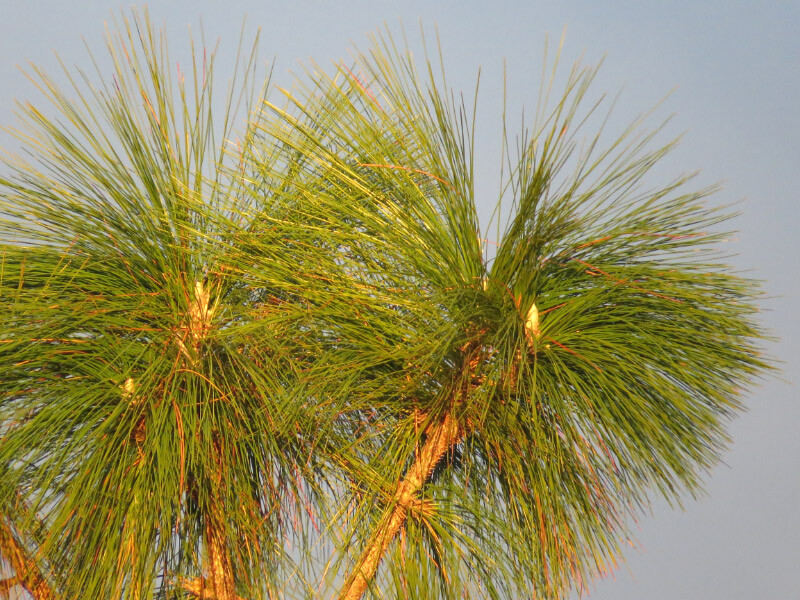 The long leaf pines are not as numerous as they once were. 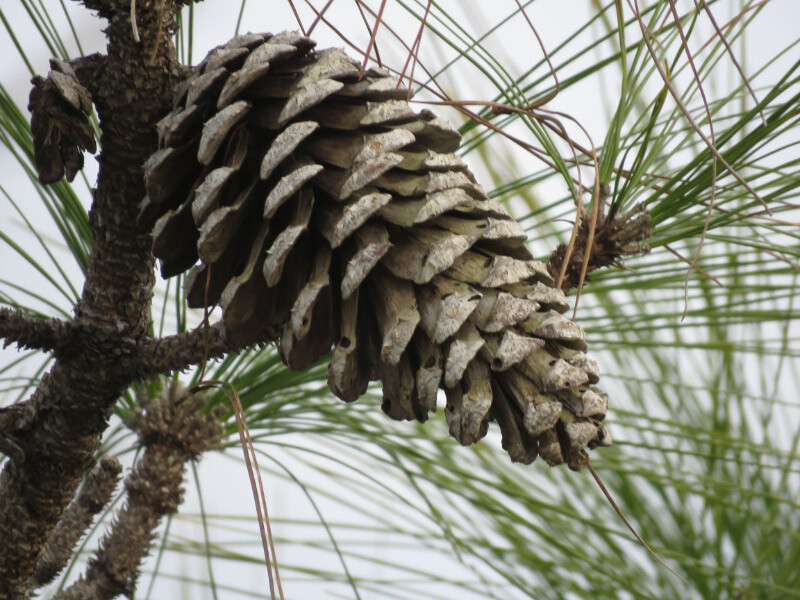 They don’t grow in dense stands so are not as commercially viable as other pines in the south. But they are a boon to wildlife and are resistant to wildfire. As we walked back toward the bus we saw a brown-headed nuthatch – another bird of the longleaf pine forest (which I didn’t manage to get a picture of) and our second woodpecker of the day. I saw the typical holes first – the work of a yellow-bellied sapsucker. Soon we saw the birds themselves. They too were after breakfast. Further down the country road we stopped at a stand of trees with some snags…and saw red-headed woodpeckers almost immediately. 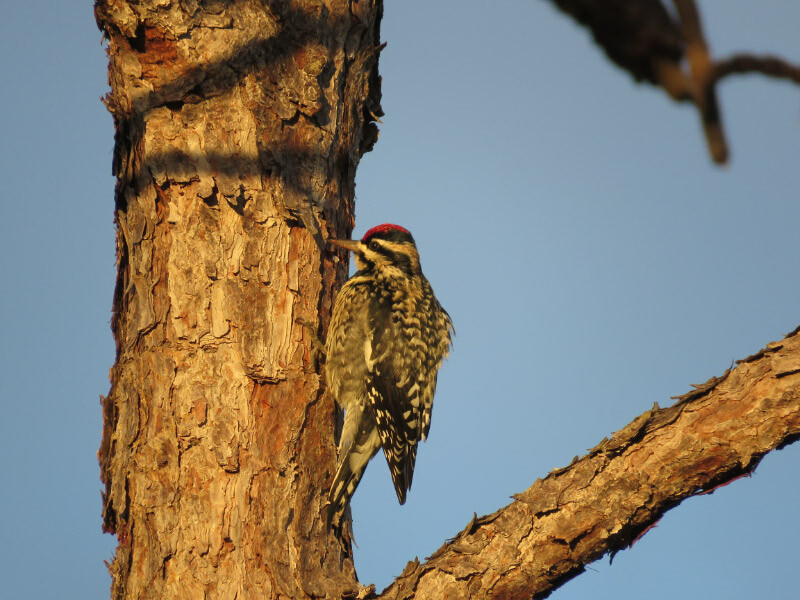 A lot of woodpeckers have red on their heads – but the name is reserved for this one. The head is red all over! What a thrill to see three kinds of woodpeckers in one day of birding!